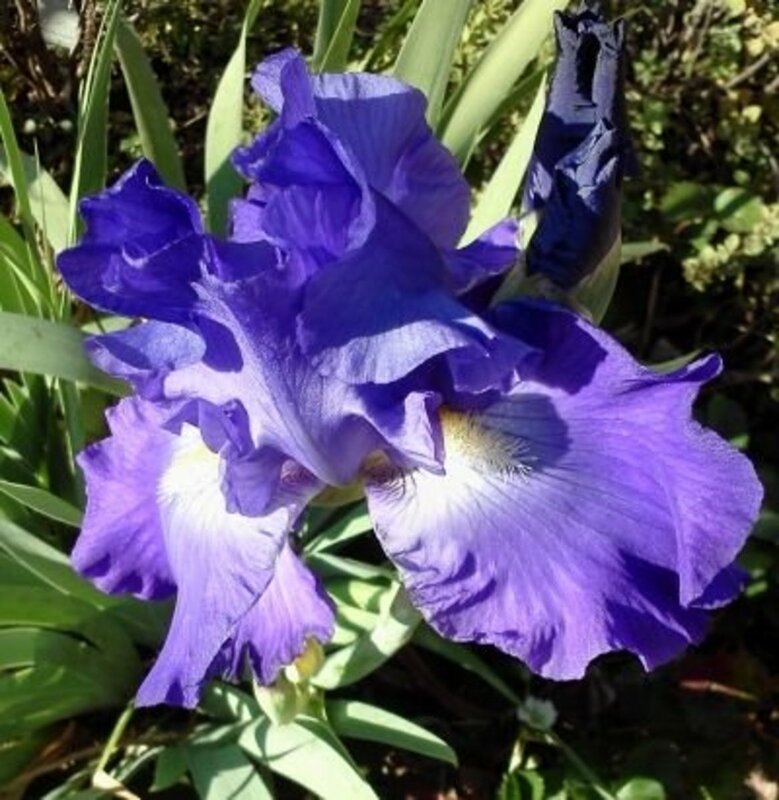 Sean has been in the industry of gardening and landscaping since 2006. He is also a certified arborist that tends to focus on plant health. Bamboo cuttings are a form of vegetative propagation that uses part of a parent plant to produce a new plant. 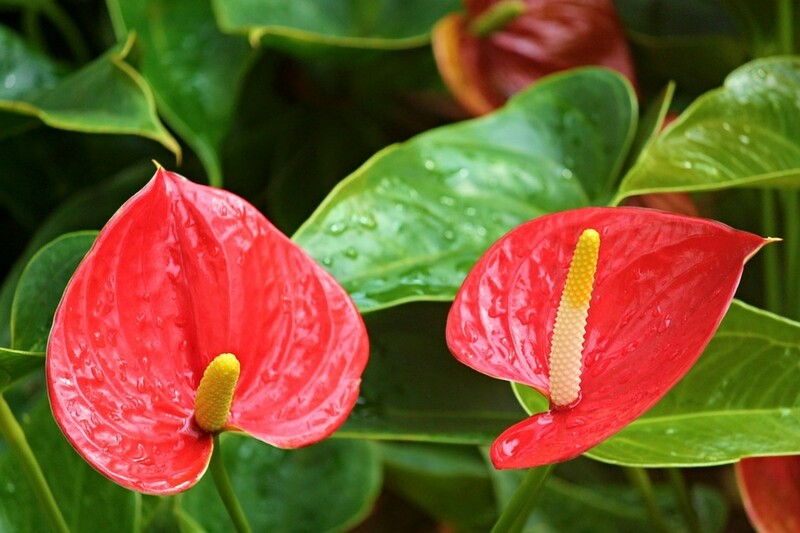 The new plant shares the exact same genetics as the parent plant, thus growing up to be identical to the parent. There are three methods of bamboo cuttings that are easily performed at home; root mass divisions, rhizome cuttings, and culm burial. Some varieties of bamboo are easily propagated by dividing the root mass. Many varieties that clump have root masses that consist of dense rhizomes (underground stems) that allow bamboo to grow new culms (shoots/stalks). Bamboo that is at least 1 to 2 years old can be divided. Divisions can be accomplished by using a sharp spade or shovel. Some bamboo root masses are so dense that a reciprocating saw is needed to remove the mass from the ground. Dividing tall bamboo can be very labor intensive. The root masses can be very heavy, and the culms add even more weight. Use proper lifting techniques and be careful. Select a clump of bamboo that is overgrown or out of place. Dig up the clump of bamboo. Set the clump upright (culms facing up) on the ground. Decide how the bamboo clump should be divided (halves, thirds, quarters, etc). Drive the shovel into the bamboo root mass. If needed, pour some water on the root mass to loosen the dirt and roots. A reciprocating saw can be used if the mass is too dense to separate by hand. Pull the sections apart using the hands. Try to separate the clumps as much as possible before using a knife to cut and separate the roots and rhizomes. Replant the clumps in a new area or container. Backfill the new hole or container with soil from the area. Soil native to the site of the parent plant is the best backfill soil. Press the backfilled soil firmly into the hole and around the new division to eliminate air pockets. Thoroughly water the newly planted division. Divisions will establish much quicker than cuttings, but close attention must be paid to moisture levels within the bamboo. Divisions limit the root mass, which can impact the amount of moisture the leaves and branches can uptake. 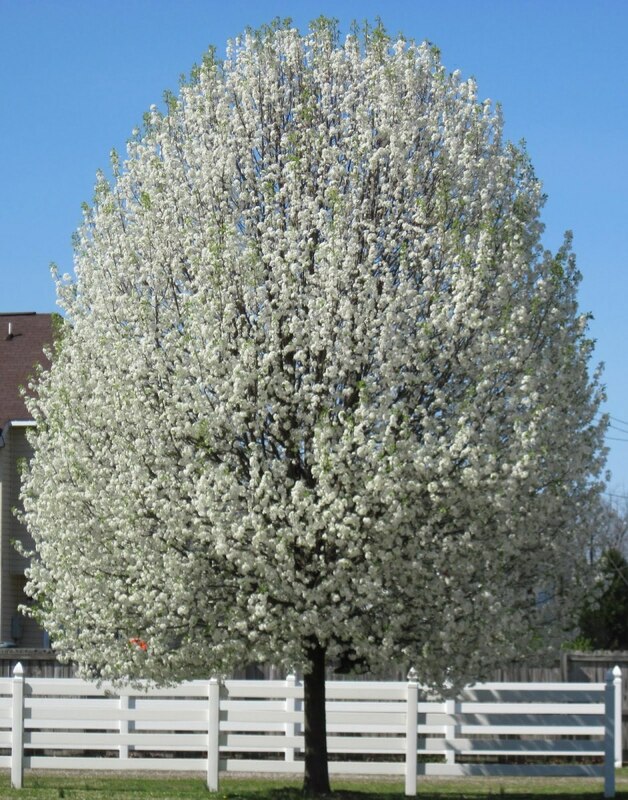 If the leaves begin to curl and dry out, then pruning should be performed to remove branches and culm height. Cutting back the culm until a few bottom branches remain may be necessary to maintain moisture levels. Certain varieties of bamboo can easily be propagated via rhizome cuttings. These varieties are commonly referred to as "creeping" or "running" bamboo. The rhizome is removed from a parent plant and buried in early spring. 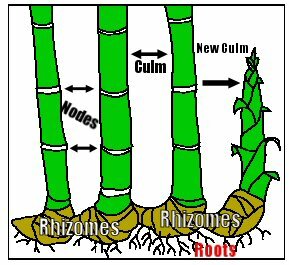 The rhizome will eventually begin to grow roots, and later grow culms if the rhizomes remain moist. The key is slightly moist, and not wet. Rhizomes that remain wet will eventually rot. 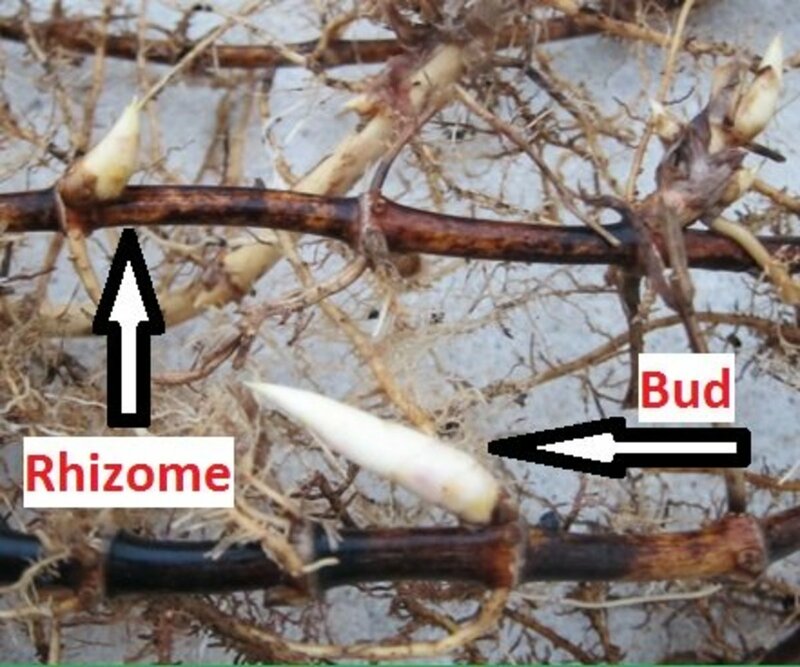 Rhizome cuttings can be performed easily, especially when already dividing bamboo. Dig up a clump or stalk of bamboo. Locate a large, healthy rhizome about 12 to 18 inches long with many feeder roots and buds. 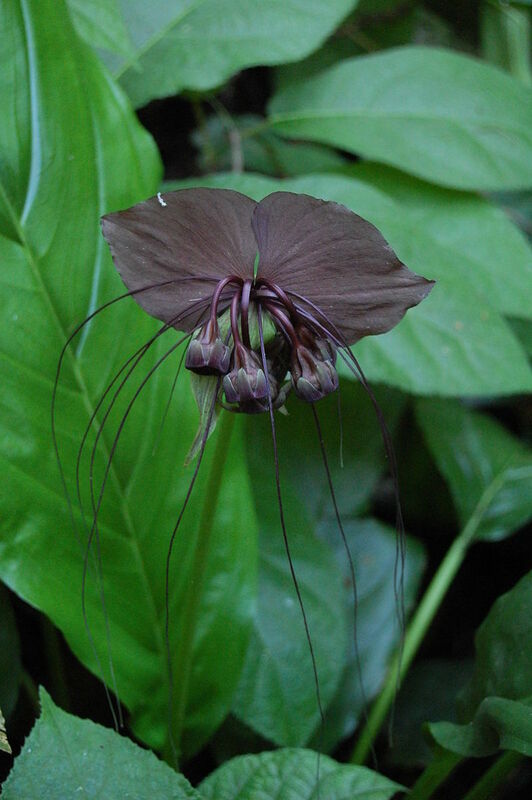 Rhizomes that contain swelling buds are ideal for cuttings. Remove the healthy rhizome from the parent plant with a sharp knife. Place the rhizome in a pot and cover with a few inches of potting soil. 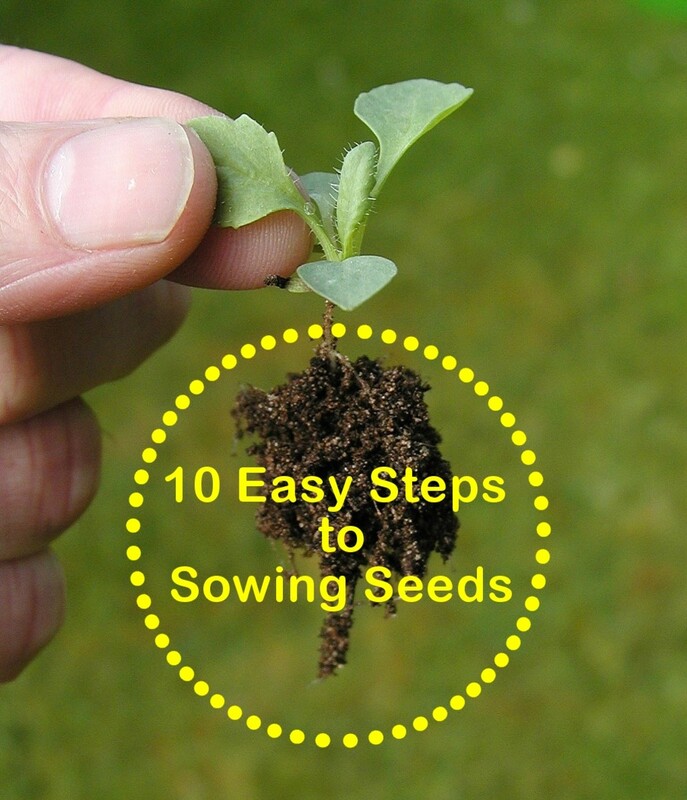 Sterilized potting soil is best used to prevent disease, insects, and weed seed germination. Keep the soil moist, but not constantly soaked. Rotting will eventually occur if left in too wet of soil. Small culms will grow within the first year, and new rhizomes will begin to grow within the second year. Maintaining moisture at appropriate levels cannot be stressed enough. It is better to keep the soil slightly dry than too wet, because rhizomes cannot withstand being soaked or waterlogged. Rotting is a sure-fire way for rhizome cuttings to fail. Rhizomes can withstand short periods of dry soil due to their ability to retain moisture. Culm cuttings are a little more difficult than rhizome cuttings and divisions. This type of cutting involves cutting segments of the culm and burying them, or burying the entire culm. Roots will begin to grow at nodes (junctions where branches meet the stem), and eventually send new shoots to the surface. Select a culm that is two to three years old. Cut the culm into a few segments, or leave whole if performing an entire culm burial. Remove nearly all existing branches on the segments or entire culm, except for one or two small branches at each node. 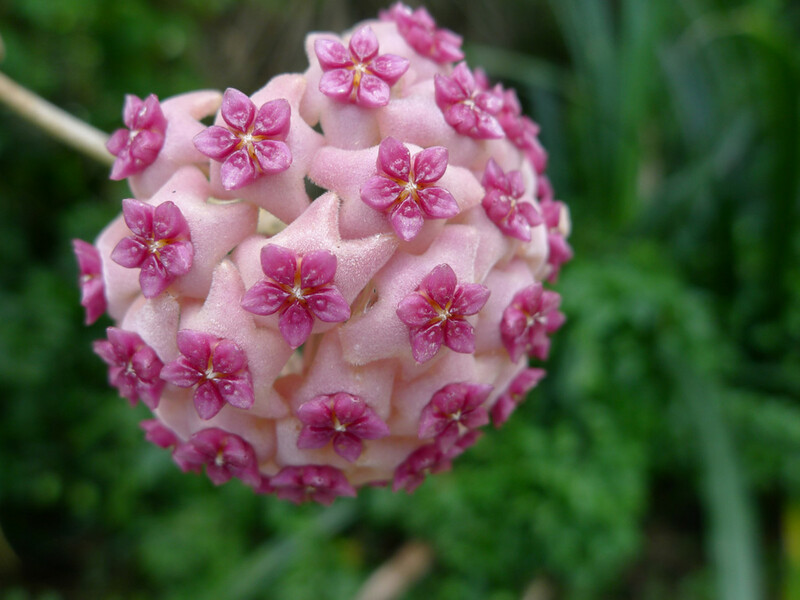 Bury the culm segments in a container with sterilized soil. Make sure to bury the branch nodes. Entire culm burial is usually too large for a container, so place into the ground if climate permits. Keep the soil moist, but not soaked or waterlogged. Roots will begin to develop at the nodes within a few weeks. Plant the segments in new areas. A rooted culm can also be divided or left in the ground whole. Success depends on the time of year the culm cuttings are performed, the variety of bamboo, origin of cuttings on culm, and how well the cuttings are cared for. The moisture level of the soil must remain slightly moist, and not soaked. Waterlogged soil will promote rotting of the culm. Most bamboos are happiest in a moderately acidic loamy soil. Loamy soil consists of a good balance of sand, silt, and clay particles. Soils that are too sandy or clayey can be amended using mulch and compost. Sandy soils drain too quickly and retain few nutrients, while clayey soils water-log and lock nutrients making them unavailable to the bamboo. Amending will better prepare the soil for planting by adding drainage, more nutrients, and adjust pH levels. Mulch should be applied around the bamboo after it has been planted. Mulch helps retain moisture, reduce weeds, and suppress pathogens. Two or more inches of mulch is ideal. Dead leaves that have fallen from the bamboo should be left on the ground. 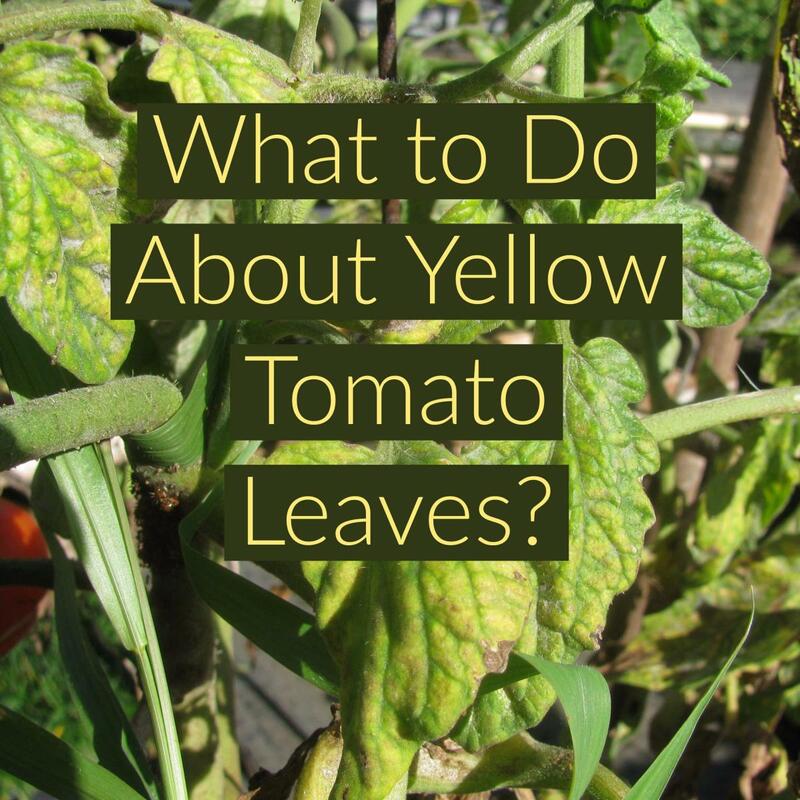 Decaying leaves add nutrients back into the soil, keep the soil soft, and retain moisture as well. Which method do/would you prefer? Which method will result in the fastest growth of my bamboo? Planting bamboo divisions will provide the quickest growth with the least amount of stress shock compared to cuttings and culm burials. What time of the year would be the best to do divisions and replant bamboo cuttings? 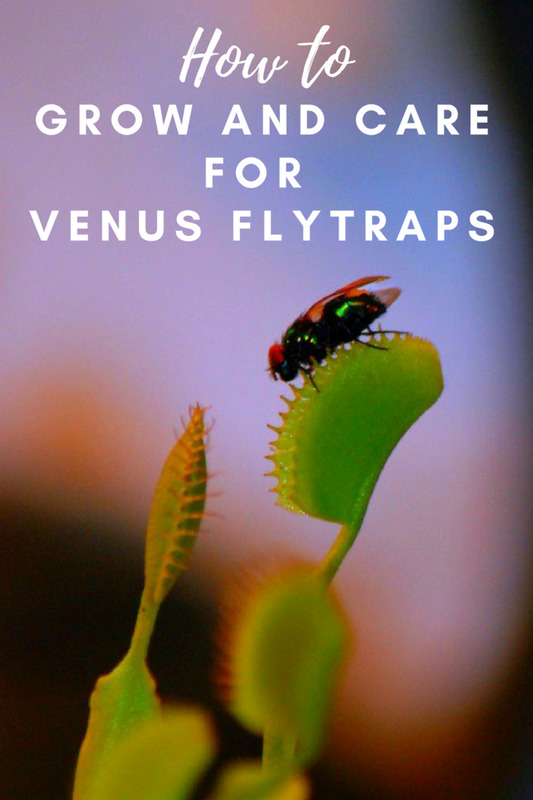 Performing cuttings in early spring reduces plant stress and will give the parent plant and cuttings plenty of time to become established during the growing season. I was given part of a bamboo stalk with a new leaf. The stalk already has a few roots. Is it ok to keep it in a glass of water in the house? Yes, but for a short period of time. Change the water daily and plant when possible. Wonderful information. Needs more photographs for better understanding. Thanks. I started with two plants, now I have hundreds and it's starting to get out of hand! But I do love bamboo. Interesting look at growing bamboo cuttings. Thanks!